Chicago is one of the most exciting cities in the Midwest, and arguably in the entire United States. Some may even argue it is the greatest city in the world. I have lived in the city of Chicago for four years now, and it never ceases to amaze me in terms of it’s beauty and charm. Plus, it is nearly impossible to get bored in a city like this. If you are looking for a quick getaway, especially for fellow Midwesterners, look no further than the city of Chicago, Illinois. Read on for a guide to 72 hours in Chicago. Perfect for a long weekend itinerary! On your first day in the city of Chicago, we suggest you buy tickets for a tour of the city. Our favorite is The Architecture Tour. There are several companies that offer a Chicago Architecture boat tour, but one of the best is offered by Wendella Boats. In fact, this is “the original” architecture boat tour in the city. The tour is available every 30 minutes from early morning to late evening. You will save money by purchasing your tickets directly from the boating company kiosk near the river. You can also purchase them online through their website. Another tour option is the Big Bus Chicago Hop-On Hop-Off Bus Tour. 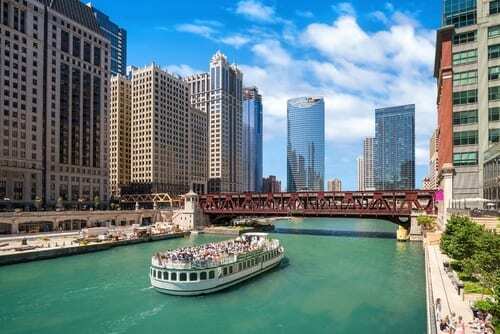 This is a better option if you want to see more than just Chicago’s Loop area, which is the area surrounding the river that you would see on a Chicago Architecture Boat tour. 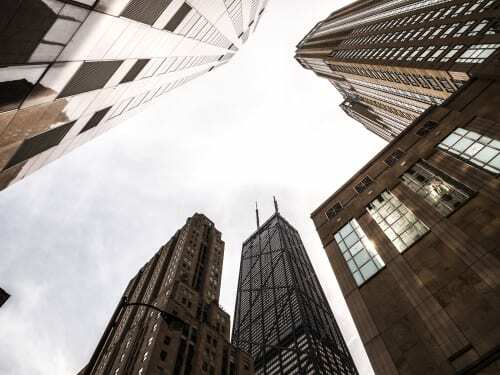 Whichever tour you choose, this is a great way to acclimate yourself to the city and get a feel for everything Chicago has to offer. 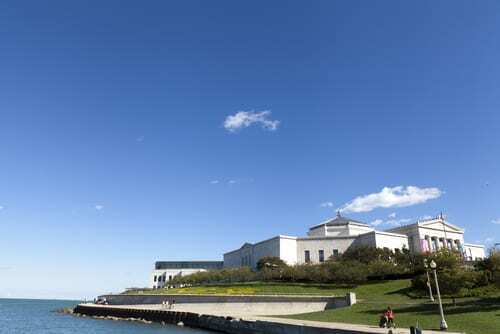 Though not technically a museum, Shedd Aquarium is one of the greatest attractions in the city. It is home to 32,000 fascinating and unique creatures and is one of the best aquariums in the country. This attraction can be done in just about 2-3 hours. 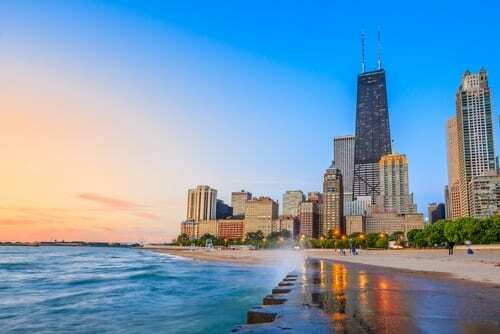 It is perfect for a rainy or chilly day in Chicago, but also a great area to explore in the summer months as it is surrounded by gardens and other attractions and located right on the lake shore. Other great museums in the area include The Field Museum, home of SUE, the famous T-Rex. This is the most complete skeleton of her species. The Adler Planetarium is another great option for any aspiring scientists or space-lovers in the family. 360 Chicago is the observation deck located on the 94th floor of the iconic John Hancock Tower on Michigan Avenue. It offers amazing 360-degree views (hence the name) of Lake Michigan and the sprawling city. We suggest you start here in the morning as it is conveniently located in the heart of downtown, with much to explore and do right outside. 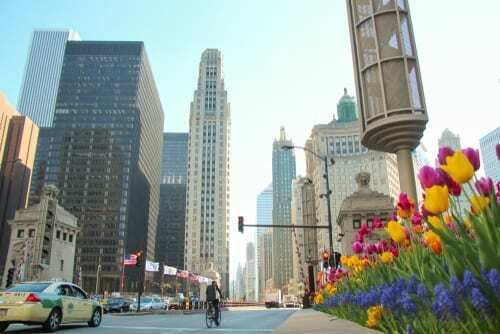 One of the best things to do for free in Chicago is explore and shop on Magnificent Mile. This is a nickname for Michigan Avenue, so once you’ve experienced 360 Chicago, just step outside and start walking! This has something for every style and every budget, so it is great for a large group or multi-generational family. If the weather is not ideal, head to nearby Water Tower Place Mall. This indoor shopping mall has pretty much every brand you could imagine, as well as a great food court. On your third day, get some fresh air and head to the lakefront. Here you will find 26 full miles of lakefront trails You can rent bikes for the whole family for up to 4 hours through Bike and Roll Chicago rentals at Navy Pier. 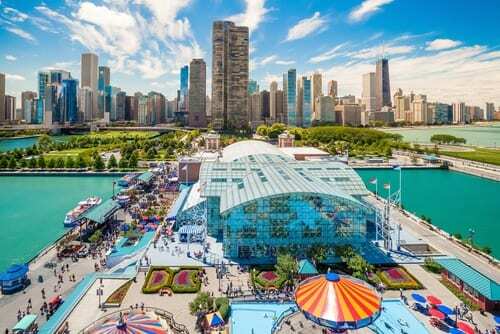 After you’ve worked up an appetite on your bikes, spend some time at Navy Pier. This is Chicago’s most-visited free attraction. You could really spend the entire day here, what with the Chicago Children’s Museum, Chicago Shakespeare Theater, and a massive concert venue. In addition, there are tons of great restaurants in this area with gorgeous views of Lake Michigan. Don’t leave without checking out the view from the iconic Ferris wheel. You’ll also find a few other theme park-style rides, like swings and a mini-golf course. Last but not least, you can’t visit Chicago without taking a family photo in front of the famed Cloud Gate sculpture, also known as the Bean. That’s not all Millennium Park has to offer, however. They also have The Ribbon, a trail that is open year-round for rollerblading in warm months and ice skating in colder temps. You’ll also find tons of events going on in the park from late spring to early fall, so do some research before you go. 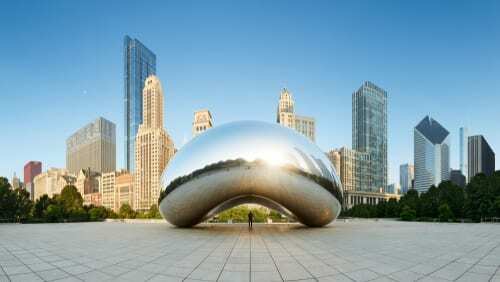 Of course, this is just a handful of the wonderful things to see, do, and explore in the exciting city of Chicago. This itinerary is tailored to families, but there are many options for couples, groups, or even solo travelers. Call us today at 402-390-9291 to book your own Chicago getaway. You can also get started here.